What is Storycamp? The name doesn’t offer many clues. Answering used to be awkward and confusing. I stumbled through it, until one day, I realized there were two themes we incorporated into every session and they sounded really cool together: Circus Art and Survival Skills. One of the best things about this description is that it’s often followed by another question: Why circus art and survival skills? To be clear, our circus does not include animals (unless they are squirrels, owls, earwigs, humans dressed as animals or puppets dressed as animals). 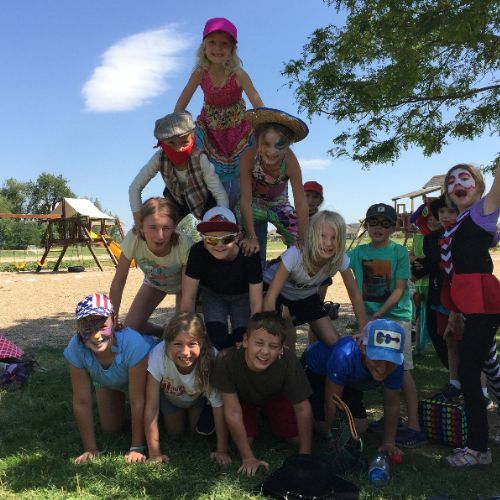 By circus I mean juggling, acrobatics, aerial dance, stilt-walking, clowning, and the combination of these activities into any creative performance the children may invent. It is a physical compliment to theater, a structured opportunity to take risks – both physical and emotional – and embody different aspects of ourselves. Why is this important? For many children, there is an implicit curiosity about survival skills. Knowing how to make a fire, tie a knot, build a shelter, or read a compass is not only practical, it builds confidence. This kind of education is felt. It puts us in touch with the environment, deepening our relationship with the natural world and offering practice in how to relate to it. Survival skills, like circus, can also include many things. While our focus is mostly on bushcraft and primal skills, the know-how in giving a firm handshake, communicating our feelings, listening, navigating city-scapes/ public transportation and asking for help can also fall into this category. Why survival skills? Because building confidence and self-reliance will support us through the (often unstable) ride of being a person. Because being outside, relating to the woods or the mountains, the swamp or the desert, is a way of relating to oneself, strengthening the connection to something bigger, to the rhythms of nature. Because being in natural spaces allows us to simply be. As children we are constantly trying to figure out how to be in our social world, crowded with subtle rules and invisible protocols. Existing in a non-judgmental space nourishes the nervous system. So why both? The simultaneous practice of creative expression with the calm openness of being in nature creates an inner stability. The two together offer aspects of education that nourish art and being. There are opportunities to take healthy risks – to discover more of oneself in dynamic environments and social circumstances. There is a wildness inherent in both – the playful, colorful world of theater, where imagination directs the course of study and the untamed world outside, offering freedom from social performance and comfort in the beautiful, unwavering boundaries of nature. SIGN UP FOR STORYCAMP TODAY! Homework, What Is It Good For?